One of the world’s largest Flamingo breeding colonies occurs at Kamfer’s Dam, just on the outskirts of Kimberley. Travellers inbound from the north are privileged to be able to observe this vast sea of pink from the roadside, and it is indeed an incredible sight to behold. A breeding island was recently constructed more or less in the centre of the dam in order to protect the flamingo chicks from outside influence and allow the flamingo to breed in peace. This was an initiative instigated by both private business and NGO concerns, among them noted ornithologist Mark Anderson, and to date has proved a resounding success. However, this programme, and indeed the continued existence of the flamingo on Kamfer’s Dam, is under threat. A housing development has been approved by local government, the location of which will be directly adjacent to Kamfer’s Dam. The impact such a development will have on the future survival of the flamingo, is huge. Fortunately, one of the conditions of approval imposed by local government, was that a suitable alternative site first be found for the flamingo to continue to breed. 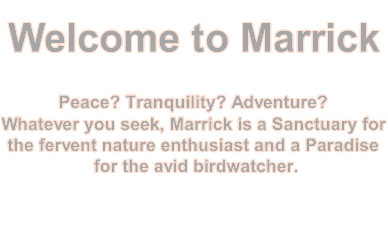 We are happy to say that Marrick Safari is signatory to such an agreement and that the pan on Marrick has been identified as such suitable alternative. To this end, in terms of the agreement between Marrick and the developer, the developers of the housing project at Kamfer’s Dam are committed to ensuring a permanent supply of water is channeled to the Pan and that another breeding island be constructed within the pan itself. This is indeed an exciting project for Marrick as it means that there will be year-round water on the pan and that both the Greater and Lesser Flamingo will become permanent, as opposed to seasonal residents at Marrick. 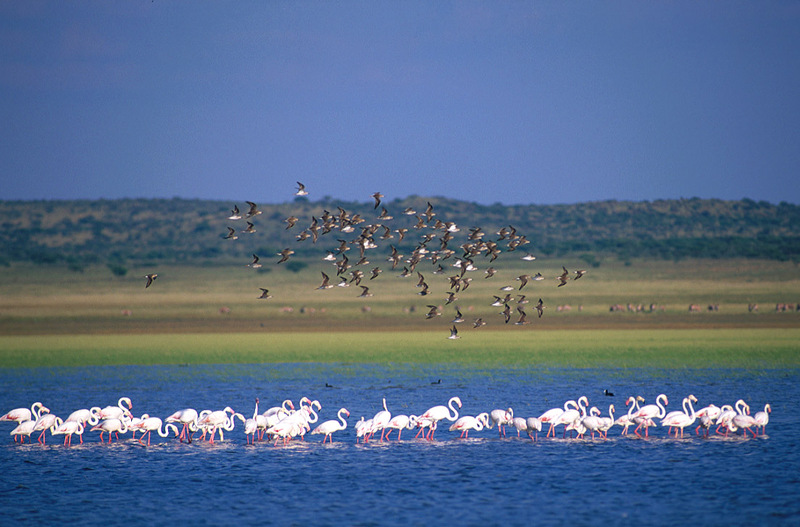 We are very proud to be able to play a role in the future preservation of Kimberley’s famous flamingo population.